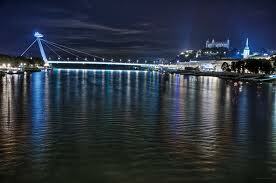 Little-known fact: Bratislava is one of the best conference venues in middle-Europe. It boasts a big advantage over almost any other destination, and that trump card isn’t necessarily overtly cool office spaces or flashier suit shops, so much as its strategic location. Vienna is one hour west, Prague three hours north-west and Budapest two hours south-east. It is, after all, capital of the country which sits at the very geographical centre of Europe. So Bratislava’s two airport hotels aren’t just airport hotels. They are also – straddling either side of the large Galvaniho Business Center – two of the city’s premium business hotels. Their location right by Bratislava Airport and also the main E75 road to the rest of Slovakia gives the two of them the advantage over the city centre’s hotels that cater for conferences. These two hotels make conferences their raison d’etre. 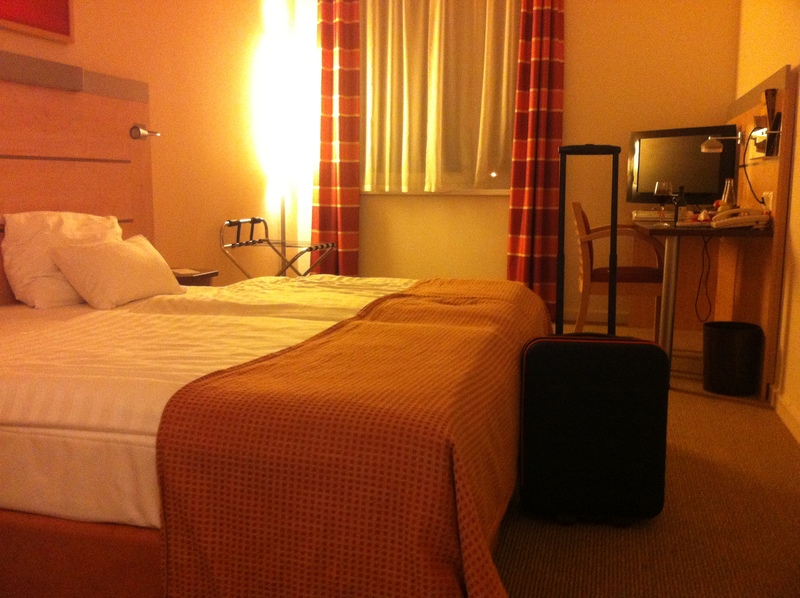 I made the mistake of not showing up at the Vienna House Easy-run Chopin Hotel, as close to the airport as you can sleep without crashing on the runway, by public transport. That was a mistake because the nearest bus stop is at Avion Shopping Centre (the Bratislava airport bus stops there, see the map link at the bottom for more). Whilst the hotel is under 10 minutes’ walk from here, it’s also the other side of a rather large by-pass: easy for a car, I thought to myself as I struggled with my wheelie bag along the edge of a pavement-less main road; less so for a pedestrian. Of course, round the back of the retail park there is actually another way to walk there. But more to the point, this is a business hotel to the core: you really need your own wheels to arrive. In the US this would hardly come as a surprise; in dinky, generally pedestrian-friendly Bratislava, to be suddenly plunged into this modern out-of-town world of big business came as a shock. Once arrived, though, the otherworldly feeling became one of snugness and homeliness: almost unheard of with this kind of accommodation. Chopin Hotel, much like its counterpart NH Gate One Hotel just along the road, is an anomaly: better-connected than any other hotel in the city (on the edge of the airport and within a stone’s throw of Slovakia’s main west-east motorway) yet by the same token cut-off from the rest of the city – even though both lie a mere 6km from Bratislava’s Old Town. In the same way as coming home after a days’ work, pouring yourself a cold beer and collapsing in front of the sofa enable you to shut yourself off from the world and create your own mini version of it, thus works a stay here. Within this maze of busy roads, Chopin Hotel really is an oasis of calm. Once you’ve got your head around the fact that this is no typical chain hotel and that staff actually like to talk to you and engage you in conversation, Chopin Hotel really does make for an enjoyable stay. It’s the little touches: such as the fiery earthy colour schemes in the rooms (cosy), the fruit on arrival, the bar where workers from Avion Shopping Centre mingle with businessmen in a surreal but convivial manner – and a restaurant than can cook well, with imagination beyond the average airport hotel or indeed the average Slovak hotel. It was also one of the first hotels in Slovakia to introduce long-stay rooms, where you have that extra leeway to feel at home. But most of all it’s the friendliness. And on the business end, there’s conference space here for around 320. Chopin Hotel divides its meeting space into several smaller conference rooms: five, to be precise. It works with the larger NH Gate One Hotel up the road to host large conferences, and because of the intimate way rooms divide up it’s perfect for smaller business events. 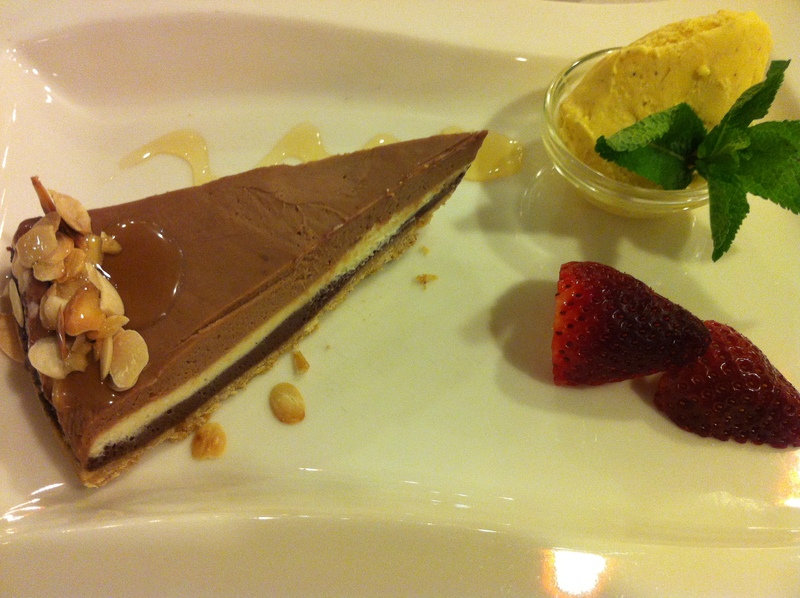 A couple of words, finally, about Chopin Hotel’s food. Norwegian trout, or Wiener Schitzel with Slovakian-style potato salad (it comes in a compacted slightly-sweet dome) are good main courses (although it would have been nice to see a few more Slovak-produced items on he menu), whilst the peanutty chocolate cake was one of the best that Englishmaninslovakia, a confessed chocolate cake addict, has sampled in Bratislava. The breakfast, meanwhile, matches a four-star hotel toe to toe, with a great selection of fresh fruit, cakes and another Slovak specialty: the scrambled egg with roasted peppers and mushrooms. Coffee: good; only downfall: no fresh orange juice. The larger (and pricier) NH Gate One Hotel back up the road is Chopin Hotel’s only competitor and has an extra star (four as opposed to three) but the only real difference comes in its wellness centre. Chopin Hotel’s rooms are a little smaller but just as inviting – and, quite crucially, with better wifi connection (Englishmaninslovakia checked this). Oh. That, and the fact that NH Gate One is nearer the bus stops! PRICES: Double rooms start at 59 Euros without breakfast (7-day advance-purchase website rates) or 71 Euros including breakfast (normal rate). Prices correct as of 2016.